For more than twenty years Family Ski Company has exclusively delivered family chalet holidays and this our approach to getting the absolute best from a chalet holiday with children. 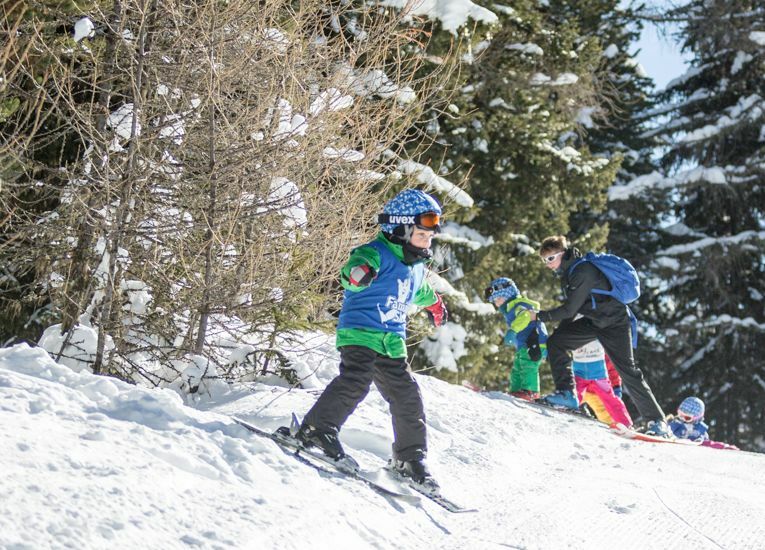 Here too is our insight into what makes ski chalet holidays with children successful generally – especially useful if you are new to skiing with children or would like a reminder of what to look for when choosing a family skiing holiday. 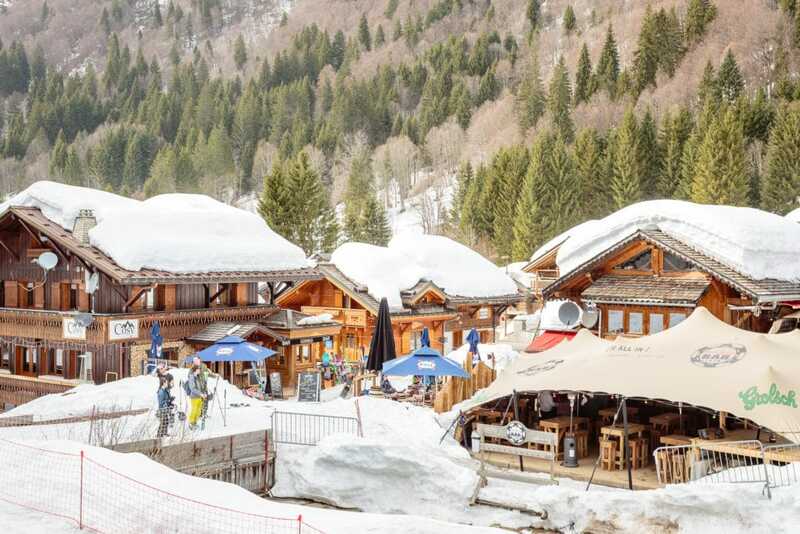 Our resorts are in the family-friendly villages with highly convenient ski in access to massive ski areas: The Three Valleys, Portes du Soleil and Paradiski. Our first secret is location: we only consider smaller low-traffic villages but still at the heart of the best ski areas in Europe. Finding such places is incredibly difficult and once you have them you hang on to them. We have been in all our resorts for at least 17 years. 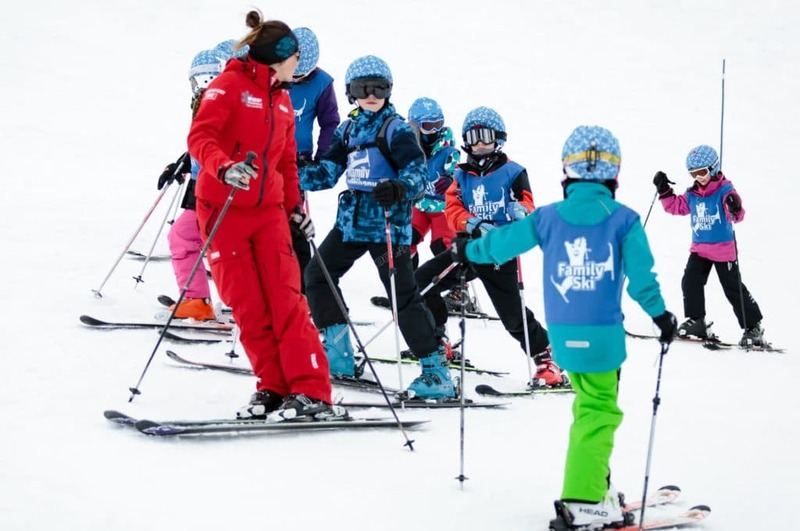 Our childcare and children’s skiing clubs are unrivalled, enabling parents to relax knowing their children are safe and having a great time: great skiing and great conditions mean little if you are not confident that your children are safe and having a wonderful time. 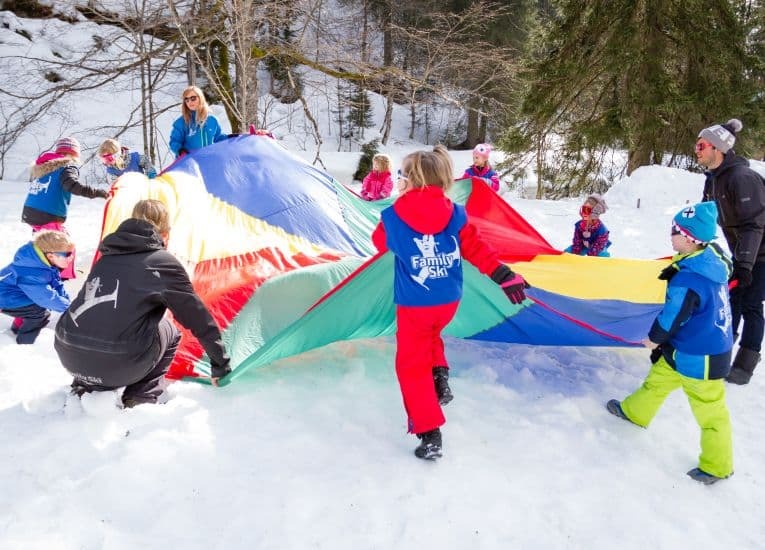 This is the indispensable ingredient of a successful family skiing holiday and we are incredibly proud of our outstanding childcare team that make this happen. It is at the core of what we do – not an add on. Our food and service are highly professional with a caring family-oriented ethos that is unique to Family Ski Company and a key to successful family skiing holidays; We don’t do fussy food but we do create really high quality meals that you would be pleased to enjoy at a dinner party. Our secret here is to invest in our staff. Our training is second to none and we always make sure that we look after our staff well and make sure they too have a wonderful time in the mountains. Great Value for Excellent Quality: We strive to provide the best possible quality at the most reasonable price and our guests tell us we succeed in delivering excellent value. Most of our guests are returning clients and friends they have recommended to us. We look forward to seeing how we can help you choose your family’s skiing holiday. Ski chalet holidays as we know them now started in the 1960’s. The idea was to re-create the atmosphere of an English country house party but in the snowy Alps amongst a group of like-minded winter sports enthusiasts. 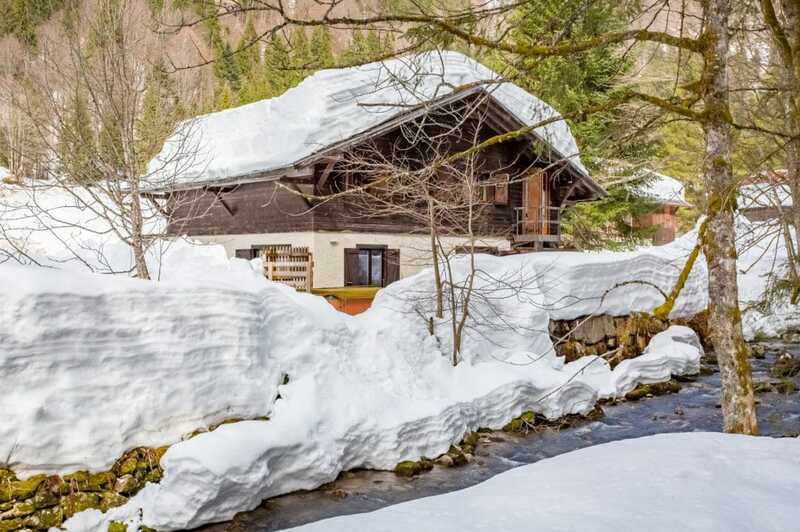 You stay with your friends or family in a ski chalet where someone cooks your evening meal, provides breakfast and cleans the chalet while you are on the slopes. Wine is invariably included with dinner. 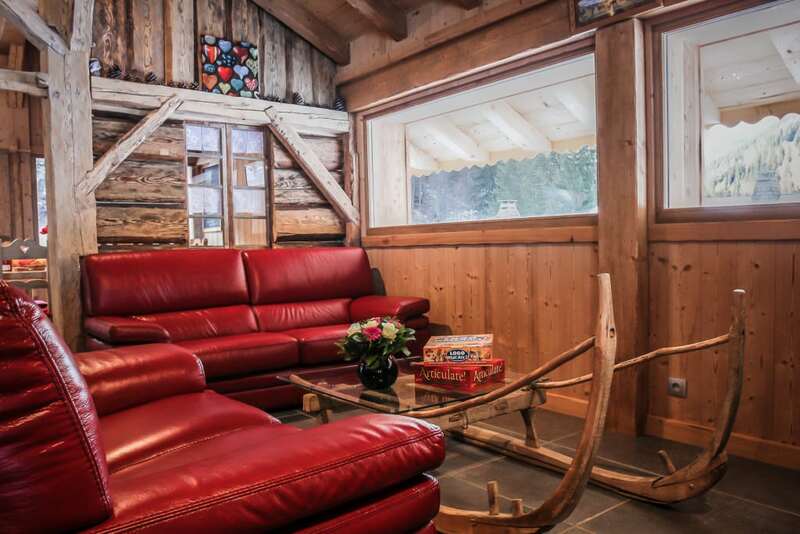 Ski chalets accommodate usually from 6 to 25 guests and you may take over a whole ski chalet with a party of friends or book part of a chalet with your friends and family and join other guests in the ski chalet. For many people the opportunity to chat with and make new friends for a week is a great part of the experience – it is much easier than in a hotel where you often find yourself hitting it off with people towards the end of a holiday when it feels too late. You are with other families – existing friends or people you have met on holiday. Your children will make friends quickly as children do when they eat and play together and your fellow guests expect to be among children. Like at home your children are sleeping close by upstairs – you will hear them if they cry and you will not be worrying about the hotel baby-listening service whilst trying to enjoy dinner. In a family specialist ski chalet everything is geared to creating a family friendly environment: details like sterilizers, stair gates, become part of the chalet’s infrastructure – you won’t have to worry about asking for them in a hotel where the degree of child-friendliness is often an unknown. The smaller scale of a chalet makes everything easier – the lost ski glove is somewhere in the ski chalet – not somewhere in the hotel! Whilst the basic formula has remained essentially the same, in those early days ski-chalet holidays could be hit and miss affairs. Your chalet hostess was likely to have a cut-glass accent and an interest in her season’s frantic social life that left little time for the niceties of excellent cooking and fine customer service. How that has changed. 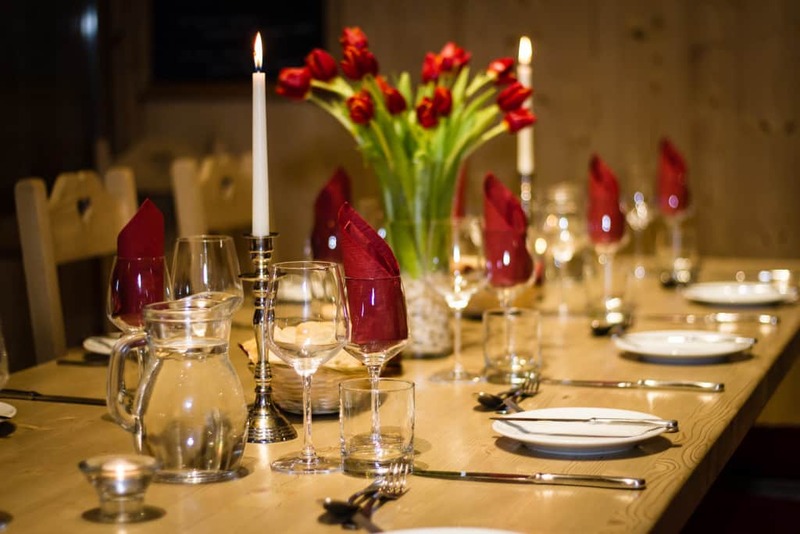 Whilst chalet holidays have grown in popularity the increasing expectations of clients for excellent standards of food, service, convenience and chalet quality have transformed the experience of chalet holidays. Your family skiing holiday is a big investment in your time and money and you want the experience to match your expectations. There is no joy in going somewhere where standards are not what you are used to at home. You should find that your chalet operator has developed a highly customer-oriented approach and worked hard to make every aspect of your one week on the snow as wonderful as you hoped it would be. A big part of that lies in choosing the right chalet – here is how we go about it. There is no denying the first morning’s challenge of assembling children ready for ski school in warm ski clothes, gloves boots, sunglasses, snack and sun cream by 9.00 or so. You do not want to increase the challenge by adding even a 10 minute bus journey to the nursery slopes – which may well be in a different area to where the parents will be skiing. At Family Ski all our chalets have very easy access indeed to the slopes for children as well as adults. Most are ski in ski out i.e. you are a few metres at most from leaving the chalet with your skis on in the morning and returning home in the same manner. Secondly all our chalets have easy access to ski school for children – either by a short walk across the piste or an easy bubble lift (which beginners including young children can use without needing to be able to ski). The second factor is child-friendliness. What do families with young children including those in the earlier teens need around a chalet to have a great holiday? In truth less is often more. Even teenagers seem to grow a year or two younger when it comes to simply enjoying playing in the snow around the chalet. A stream a small wood and somewhere to build an igloo are far better than a busy street crammed with shops and traffic powering through on the wrong side of the road. Think pooh bear rather than Kensington High Street and steer clear of busy resort centre chalet locations if you want to enjoy your après ski drink stress free and with the warm glow that comes from knowing your children are safely engrossed in the childish pursuits of a gentler era. All Family Ski chalets are in small child-friendly villages that are attached to very big ski areas. For example, in Les Coches our chalets are 100 metres away from a small pleasant pedestrian-only village with a good bar and a few shops but even then, the focal point of our guests’ evening is almost always the chalet and that of the children, just outside the chalet, playing in the snow. Other Family Ski resorts in Portes du Soleil Ardent near Morzine and Reberty in the Three Valleys follow the same family-friendly formula. Finally you will of course want to look at the chalet itself. 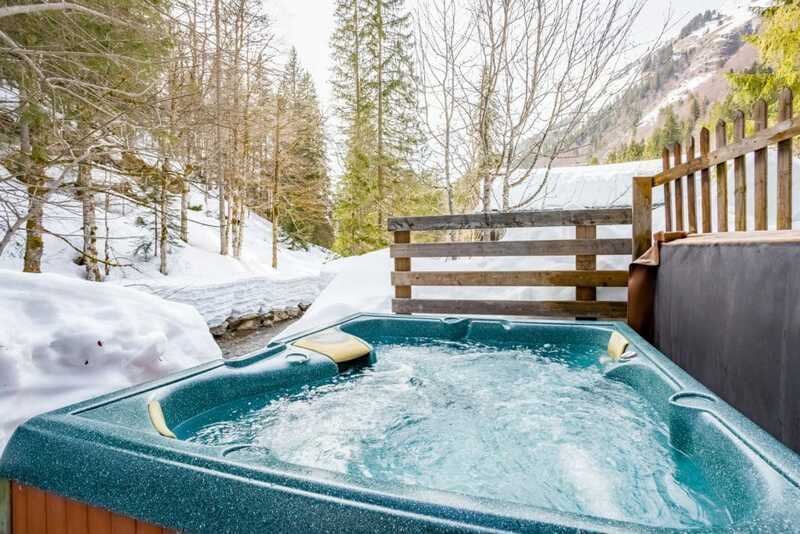 En-suite bathrooms, roaring fires and hot tubs where pleasantly tired skiers can sip champagne whilst gazing at the Alpine night sky have become the experience that guests increasingly expect (not all our chalets have fireplaces). Once the basic requirements of a comfortable chalet in a highly convenient location have been met then these luxuries will make all the difference to the parents’ enjoyment. Apart from the Jacuzzi the children are unlikely to notice such refinements – provided of course you have a video and play area for when they have finally had enough of igloo-building – but they do matter to their parents. Seventeen of the nineteen Family Ski Company Chalets have hot tubs, most have en-suite facilities and some have wood fires. For most of our guests most of the time these touches win hands down when it comes to deciding whether to step out to the local bar or stay in by the fire especially with pleasantly tired ski legs. However before you can relax to enjoy these luxuries there are some more basic questions to ask concerning child-friendliness: stair-gates for example – are they fitted, do they work and can you count on every one in the chalet to use them, even those without toddlers? Sterilising equipment, toys, suitable and not unsuitable videos – the list is endless and detailed and the benefit of a specialist family operator like Family Ski is that worrying about such essential details is in the fabric of the organisation. Now, time for the Jacuzzi and glass of fizz – safety glass of course.